The SYSTEM® FIRE DEFENC Multi-layered Jacket and Trouser is made from PBI an Outer Shell Fabric, EOLINER Moisture Barrier Fabric and Thermal Liner. 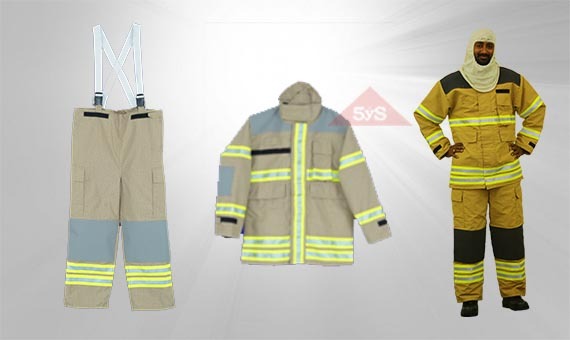 This is the latest generation Fire Fighting Jacket and Trouser with high degree of abrasion and tear resistance. FIRE DEFENC performs extremely well upon repeated exposures to radiant heat.